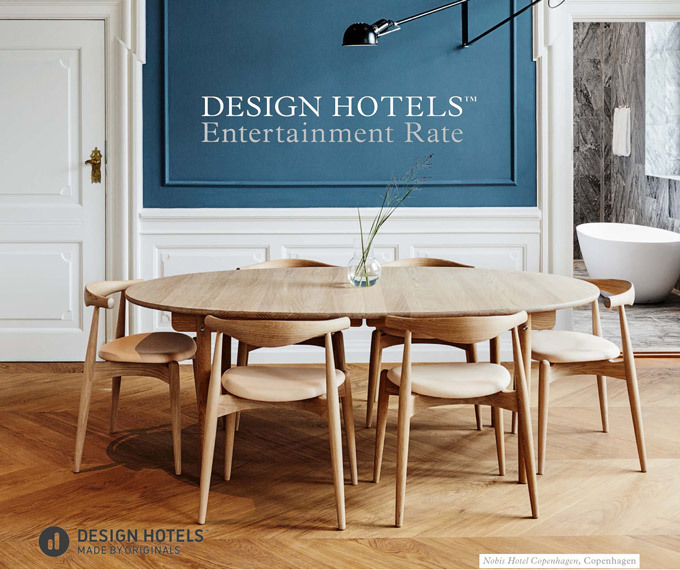 Mention the “Design HotelsTM Entertainment Rate”. Design HotelsTM represents a curated selection of more than 300 independent hotels in over 60 countries across the globe. experience that his or her hotel provides.